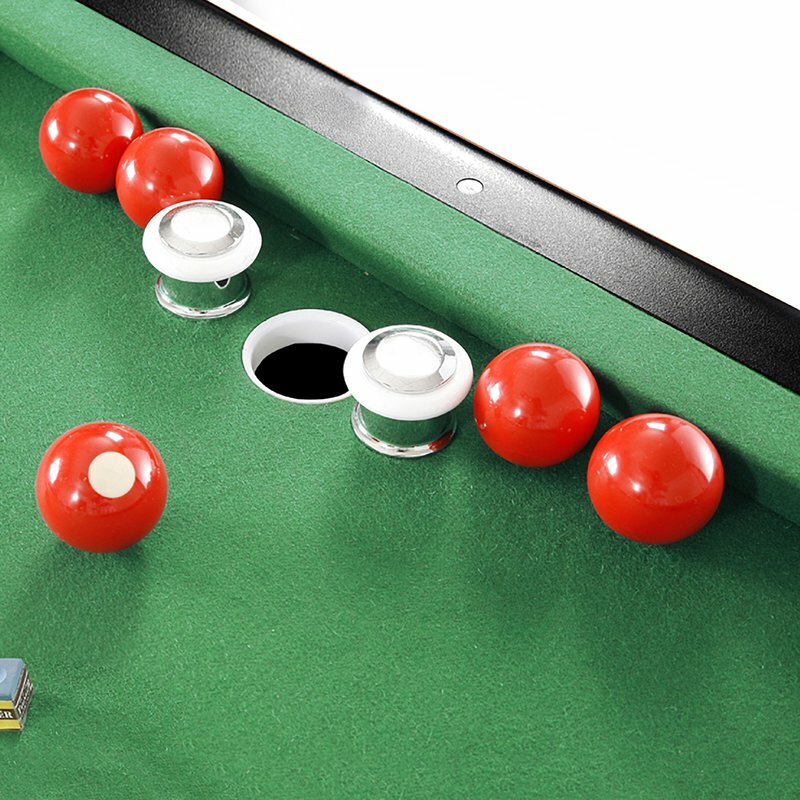 Introducing the 4.5′ Bumper Pool Table with Accessories by Hathaway. I found this on Wayfair, and for those of you that want the complete set without having to pay for separately for accessories, then this set is for you. 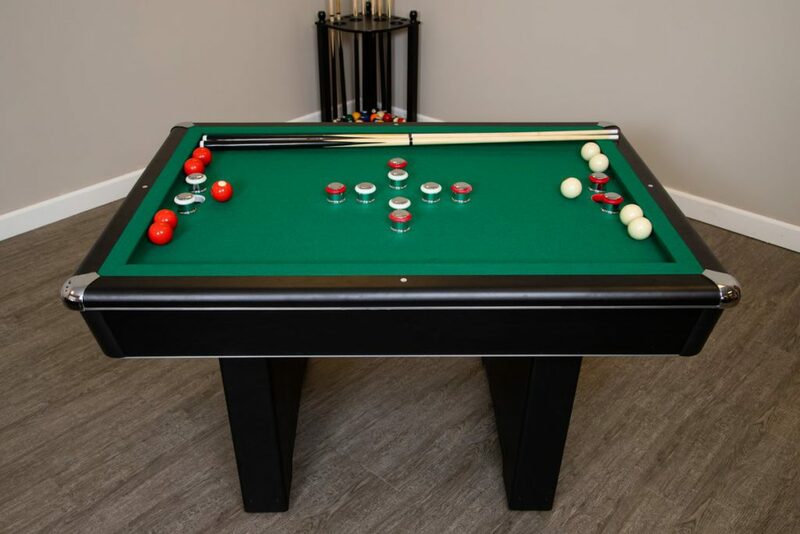 To enjoy playing billiards with friends and family, you can bring home the 4.5′ Bumper Pool Table with Accessories. It has a green playing surface and black finish frame that gives it a nice appeal. The modern pool table is made from manufactured wood that enhances its strength and durability. It is a set that includes bumper pool table, two cues, 10 bumper pool balls, table brush and chalks with racking triangle. The table has pedestal legs with non-skid base that make it sturdy and firm on the floor. It requires assembly and can be wiped clean on the frame and brushed on the playing surface to keep it looking like new for years to come. The reviews coming from the customers were mostly favorable. At the time of this post, 17 customers rated this product set at 4.6 stars out of 5. Wayfair is dedicated to customer satisfaction. If you have any questions about your purchase or any other product for sale, their customer service representatives are available to help. 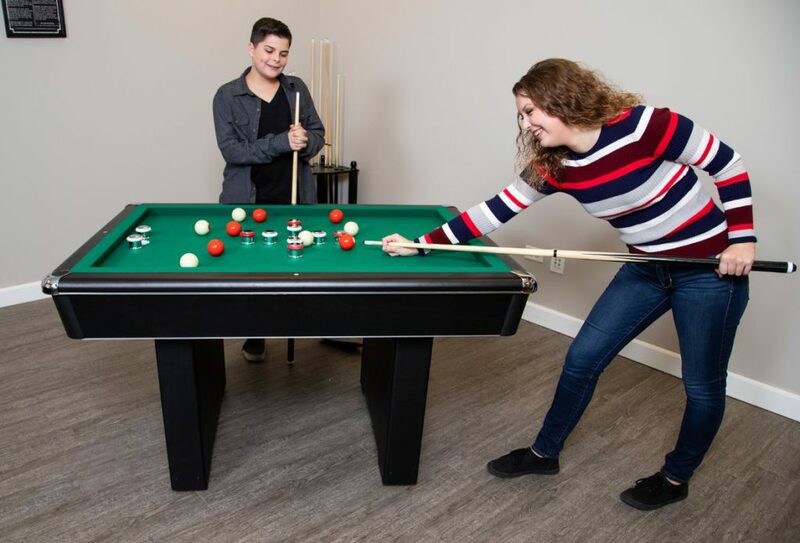 Whether you just want to buy a Hathaway Games 4.5′ Bumper Pool Table with Accessories or shop for your entire home. If you are unsatisfied with your purchase of this product, you can return it within 30 days of having it delivered to your place. Always make sure to hang on to the receipt, and Wayfair refund your money in full. I hope that you found this post to be enjoyable and informative. If you liked what you read here, feel free to share this on social media and comment in the comments box below. I look forward to hearing what you all have to say and will see you again in the next post. Cheers!